We understand how uncomfortable it is to enter into a situation that may result in a major financial commitment. There is always the fear you will be pressured into doing something that is not in your best interest and you will regret. Investing your hard earned money can make even the most experienced investor feel uneasy. It is our commitment to you to do everything we can to completely eliminate the sense of pressure and discomfort. We feel our clients are entitled to the best counsel & advice we can provide, or find through outside sources. This requires a thorough understanding of our clients’ values, goals, needs, past investment experiences, and feelings. 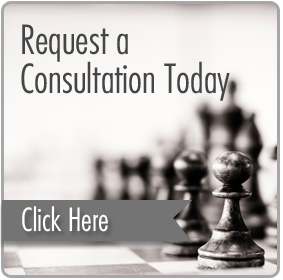 We feel the “one-hour free consultation” offered by many financial advisors is not adequate for something so important. Therefore we give you all the time you need to feel comfortable while you make an informed decision. Realistically we think it will take several meetings for us to get acquainted and decide if we want to work together. For serious investors, we offer an extensive portfolio review, investment plan, and retirement needs analysis. We do this without charge or obligation. Due to profound changes in the financial markets and our economy, this is well worth your time whether you are 20 years from retirement or 20 years into retirement. This process is usually conducted over 3 meetings. During our first meeting we will gather information on your investments and everything necessary for a thorough understanding of you and your situation. After the first meeting we perform extensive research of your current investments. We will look at their relative performance, how they compliment or conflict with each other, and how well they are serving your goals and risk tolerance. Then we construct an investment and retirement needs analysis that studies the probabilities of how long your money will last. In our second meeting we will review the analysis of your investments and the retirement needs analysis. These can be modified or adjusted to reflect your outlook and expectations. We will study the probabilities of your money lasting through your lifetime using a range of investment return and inflation assumptions. The third meeting will consist of refining the plan based on your input in the second meeting. We will focus on the results of the previous meetings and the strengths and weaknesses discovered. By this time we will usually have an idea of whether or not we would like to work together. Even if we decide to go no further, you still benefit from a serious comprehensive analysis of your financial situation. We promise that you may withdraw from this process at any time, and we will not pressure you in any way. We hope you decide to retain our services, but we do not expect that everyone who engages in the above process will decide to work with us. We know from experience that some will and some won’t. It is important to us to earn your trust. Let us help guide you….